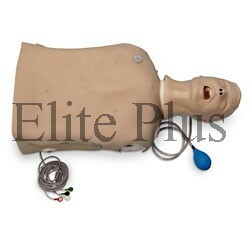 We are stalwarts in importing, exporting and supplying a premium quality range of ACLS Manikin. Our product range includes PDA STAT manikin, stat manikin, infant airway management trainer with stand and chest tube manikin to name a few. These are procured from reliable and certified vendors where these manikins are manufacture using premium quality raw material procured from reliable vendors. Our vendors are renowned manufacturer of these manikin and their products are highly demanded worldwide for their life-like and seamless finish. 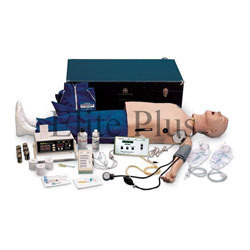 These manikin are highly reliable and are widely used for teaching and learning purposes. Patrons can avail these manikin from us. We also provide door-step delivery within stipulated time. We have gain expertise in supplying, exporting and importing PDA Stat Manikin that are really useful for an amateur medical practitioner to polish his skills. These manikin allows the user to assess his knowledge, upgrade his skill level and conclude his critical thinking abilities. It is widely used for teaching in medical colleges where life worths a lot and no amateur is allowed to practice it on human being, this manikin provides the same situations, scenario and environment to practice and learn the difficult task without causing any harm to any living beings. We are bringing forth a high level Stat Manikin that are used to train and teach prehospital skills. It enables the user to use a full range of skills and that too on a life-sized manikin. We procure these manikins from renowned manufacturer to ensure high quality of the product. These manikins are then further made available to the market so as to make it available for our valued patrons. Having a deep knowledge about the subject is made possible by these manikins. These are fabricated as per the international norms and standards and are made available for patrons worldwide. Taking the experts and professors advice and using experience in the first-aid field, we have been able to develop EP/ACLS8000 comprehensive emergency skills training system, with its functions being comprehensively upgraded and refined. Complying with AHA (American Heart Association) 2010 emergency guideline for CPR and ECC, the system provides many species of cardiac disease emergency cases to help physicians train clinical emergency operation procedures via friendly man-machine interface. Through dozens of animation scenes, the system provides abundant real emergency scenes to facilitate diagnosis and differential diagnosis. For different types of cardiac disease, the system provides typically auxiliary examination and drug treatment, and also supports diagnosis of cerebral vascular accident disease and treatment training. We are presenting an exclusive array of PEDI Blue Neonatal Simulator with Smart Skin Technology that is designed to stimulate infant in its first 28 days of life. It allows the user to practice incubating or perform CPR. This exclusively designed simulator are highly reliable and are manufactured in adherence with the international norms and standards. Having a wide market, these simulators are demanded worldwide in various medical institutes to let the student gain practical knowledge without causing any harm to any humans, Customers can avail these simulators from us. We are a reputed firm engaged in supplying, importing and exporting Chest Tube Manikin that are widely used for teaching purposes in various medical colleges and hospitals. It comprises of two cut-away viewing areas which helps in knowing relationships between the skin, surface, musculature, ribs and lungs. The other side consists of pressurized tension pneumothorax site for reliving air. It has controllable fluid color, volume and viscosity. We are bringing forth a comprehensive assortment of Cricothyrotomy Simulator Manikin that are designed to learn and practice the necessary techniques to perform cricothyrotomy. These simulators are fabricates as per the international quality standards by a team of dexterous professionals. Our vendors are renowned manufacturers of these simulator in world market. Offered product is realistic in nature and allows user to explore the condition and characteristics of cricothyrotomy with a near & clear vision. Patrons can avail these simulator from us. We also provide door-step delivery within stipulated time. We are providing Deluxe Infant Crisis Manikin with ECG Simulator that has everything one needs to polish pre-medical skills. These manikins are highly demanded worldwide for practicing pre-medical skills and are highly reliable for that. We procure these manikins from reliable and trusted vendors where these manikins are manufactured in accordance with international CPR standards. These manikins are manufactured at larges scale so as to meet the high demands worldwide. Realistic in nature and perfect finish allow the user to explore a new world to polish skills and get into the world of professionalism. Simulate electrical capture with your external pacer. Press simulator capture key to select one of four preset pacing capture levels: 70, 80, 90, or 100mA. When pacer current is greater than selected capture level, paced beats appear on your monitor. Waveforms for pacing include: Sinus Brady (two), 1st degree A-V block, 2nd degree type I A-V block, 2nd degree type II A-V block, 2nd degree type II A-V block with PVCs, and 3rd degree A-V block.  LED indicators: pacer pulse detection, defib discharge detection, and low battery. Life/form® Deluxe CRiSis™ Torso Manikin features the same quality, durability, and reliability as the Deluxe CRiSis™ Manikin (LF03955U) only in a smaller, easier-to-transport version. Unlike full-body manikins, this ACLS torso is much smaller and easier to move from facility to facility for training. 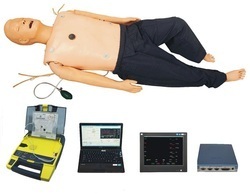 This system now features the “Airway Larry” Airway Management Training Head with carotid pulse, Defibrillation Chest Skin, and Interactive ECG Simulator (LF03670U), all attached to a CPARLENE® Torso. Includes a 8-oz. pump spray bottle of lubricant (LF03644U) and comes in a durable, foam-lined carton (hard carry case is available, LF03467U). Three-year warranty. 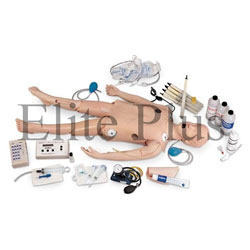 Patrons can avail from us a premium quality range of Advanced Life Support Manikin Deluxe Plus Crisis that has 5 scenarios and allows the user to practice all separately. These manikin are highly reliable as these are tested for quality and also because these are manufactured by a team of expert professionals using innovative approaches to provide advancement in medical studies. Manufactured as per the international standards and norms, these manikins are highly reliable and are widely used at medical colleges for exploring, evaluating the human body’s problem in a new and advanced way. We have gain expertise in importing, exporting and supplying Deluxe Casualty Simulation Kit Manikin that are used for training and teaching purposes in many medical colleges and nursing institutes. These kits are sourced from renowned manufacturer, where these kits are fabricated at very large scale under the guidance of expertise professionals. Having realistic nature and so many options of customization make it the highly reliable kit to polish skills. 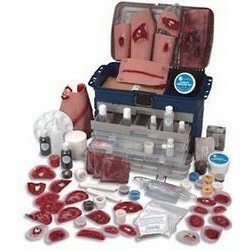 The full line of accessories enables the user to create 70 types of wounds. It comprises instruction and is packed in a sturdy case. These kits are made available to market at reasonable prices. 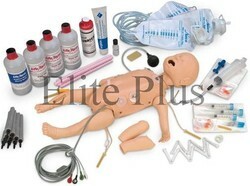 We are reliable organization engaged in supplying, importing and exporting Deluxe Child Crisis Manikin with ECG Simulator. 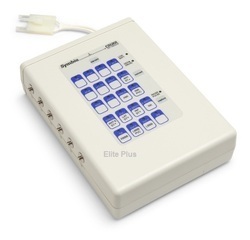 These stimulator are designed to let the user gain as much information as he can through this. Having a wider application area, these simulators are highly demanded for its realness. It enables the user to know various methodology and concepts clear practically. These simulators are procured from certified vendors who manufacture them in accordance with international standards. These stimulator can is a great source to learn practically the pre-medical learnings. The Act+Fast™ Anti-Choking Trainer is worn by students in CPR class to learn the Abdominal Thrust Maneuver (Heimlich). When performed correctly, a foam plug shoots into the air, making instruction realistic and leaving students confident. Trainer can be used standing, sitting, on the ground, or even for choking self-rescue by using a counter or chair. 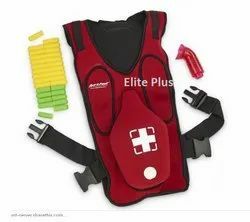 Includes adjustable shoulder straps to better fit more students, air bladder for practicing the Heimlich maneuver, a foam back slap pad for additional choking rescue practice, and 30 foam plugs (20 yellow standard plugs and 10 green easy plugs for beginners and children).